Sturdy play furniture for kids with storage in an attractive and contempory design. That is most probably the best way of characterising our product line of wooden furniture with storage and playpanels. Kids play furniture that have been developed for use in public kidscorners, waiting rooms and (after school) institutions. All of them represent highly solid pieces of kids play furniture that excel in terms of versatility and flexibility. Don't make any concessions and offer kids a pleasant, educational and safe time filler that allow them to develop their innate capacities and talents further. Kids just love this play table. At the moment you unfold the desk tops at both sides, children are being confronted with an unrivalled play world in which all their dreams come true. 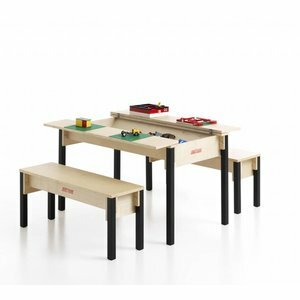 Toy storage table with 2 desks. Once unfolded, a huge storage space is under the table desk that can accomodate all toys. Large toy storage changing table for 2 to 4 children. This children's play desk is the ultimate solution for your kids corner. This wooden children's desk offers ample opportunities. 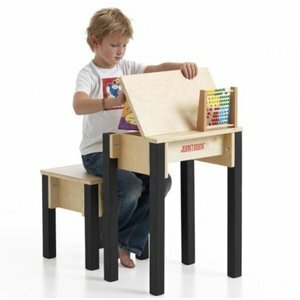 Kids play desk with storage. Very quickly your small guests will draw themselves around this robust kids wooden play table. Certainly when the big storage bin in the middle is filled with exciting content (like bricks or other play materials). Includes 4 original stools. 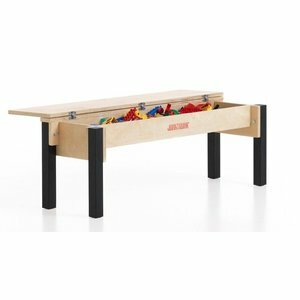 Children's play table with storage. If unfolded, two big and sturdy play desks are available on top of which children can initiate all kind of play activities. And at the end of the day, the table tops can be closed in a split second. Wooden play desk for kids. If you have just a bit more space at your disposal, you can offer a compact playcorner to at least 2 kids. Also this Play Desk is characterised by a practical storage solution under the table top. This sturdy and highly solid kids storage bench is spacious enough to accomodate 3 children at the same time. Moreover, it disposes of a very practical storage unit beneath. Extremely stable child wooden stool. Moreover, it can also be used to connect benches and stools and to position your play furniture into a corner formation. More children bring more fun to the party. 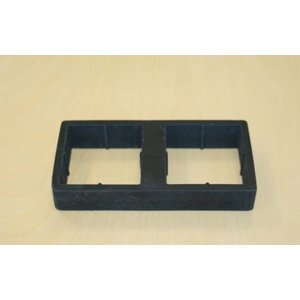 This set contains 2 rubber connectors that will hold together Stools and Benches in order to realise a wide variety of play structures. Enables endless possibilities for a most professional and extended play corner.